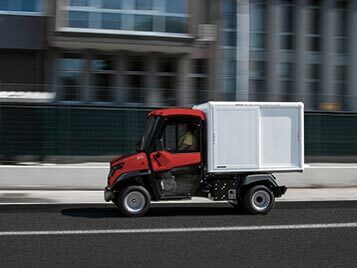 Compact, sturdy, high performance, silent, and environmentally friendly: the Alke' Cargo Box electric commercial vehicles are perfect for the transport of goods in urban areas. Why choose Alke' Electric Vans? 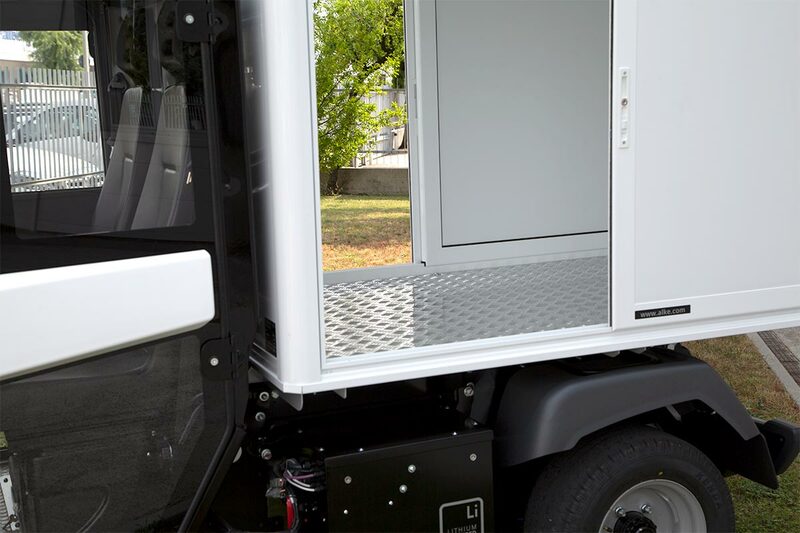 The Alke' Cargo Box electric commercial vehicles have a thermally insulated enclosed cargo space. 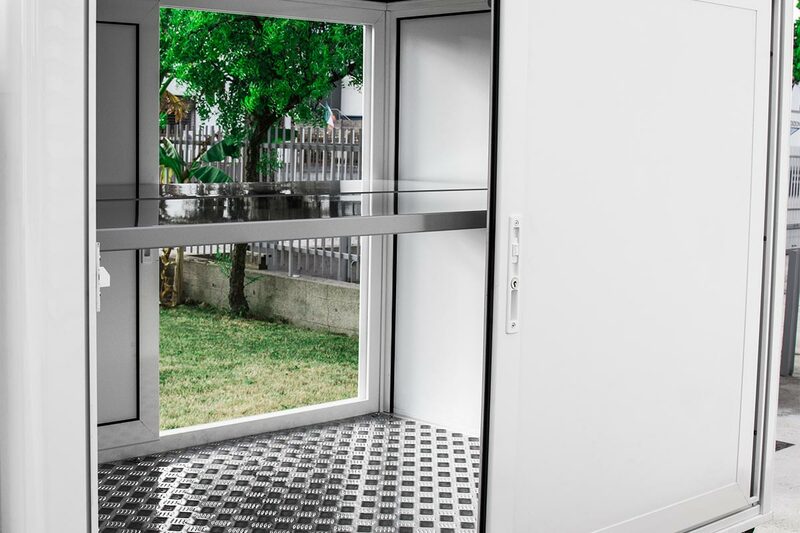 There are four lateral sliding doors that greatly facilitate the loading and unloading of merchandise, guaranteeing easy access to every area within the box. 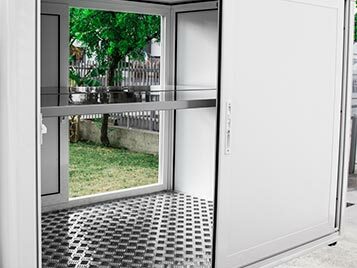 Thanks to its reduced size (1800/2000 mm x 1260 mm x 1230/1330 mm), the Alke' Cargo Boxes can operate in any area, even where space is limited. The internal volume is equal to 2.8 m³ or 3.7 m³ (this one available in the long wheelbase versions). The structure of the cargo box is made of plywood panels with fibreglass cladding and aluminium framing. The interior platform, however, is entirely in aluminium. 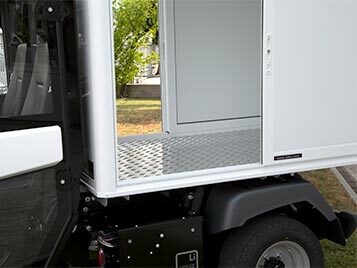 Inside, the box is equipped with LED lights and it is possible to use optional platforms of various heights in order to maximise the load capacity. 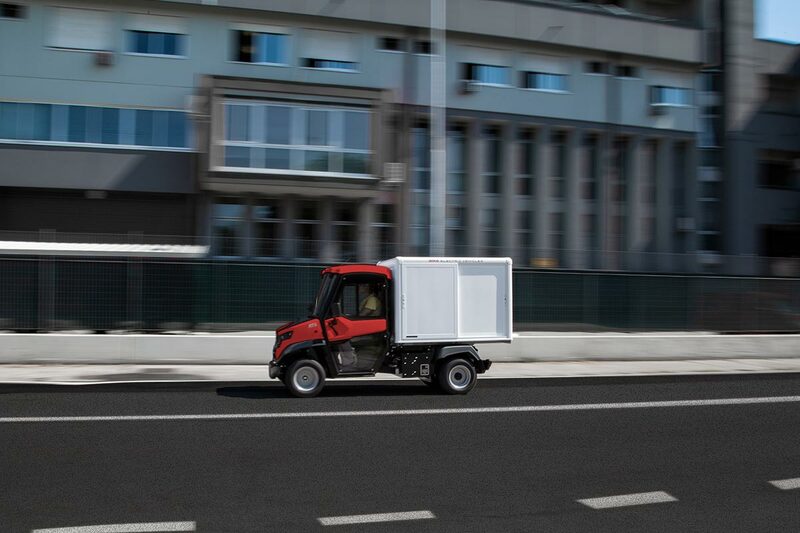 The Alke' Cargo Box electric commercial vehicles are available also with thermally insulated enclosed cargo space. 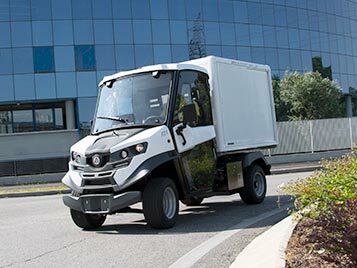 Alke' electric vehicles have been developed for the transport of goods and perfectly combine zero-emission mobility with high performance, thanks to an exceptional motor capable of towing up to 4.500 kg and carrying up to 1.514 kg. The batteries guarantee an approximate maximum autonomy of 60 - 75 - 150 km (based on the type installed), and it takes about 2 € to fully charge them. 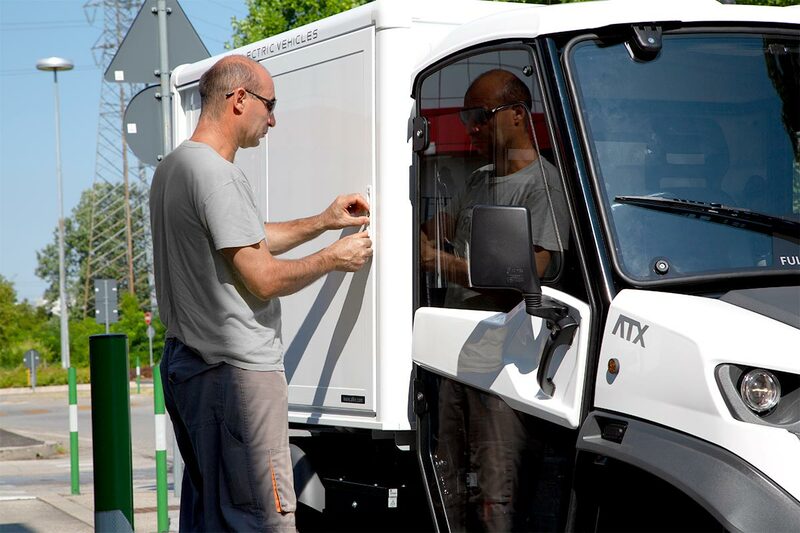 ATX Cargo Boxes can circulate on both paved roads (N1 European certification) and dirt roads. They are perfect for 'stop and go' operations like merchandise delivery and transport of packages or baggage. 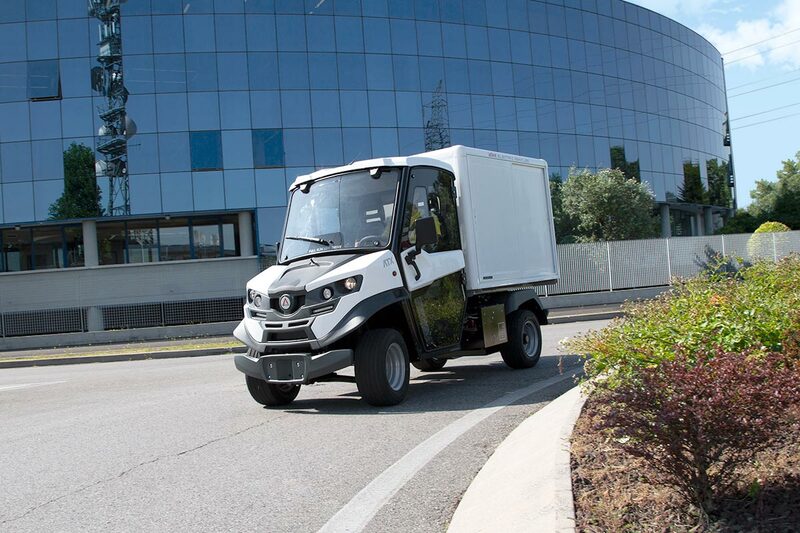 Thanks to their high performance and compact size, they can also be used as Civil Protection vehicles or to perform maintenance in historic centres, restricted traffic areas, or residential neighbourhoods. 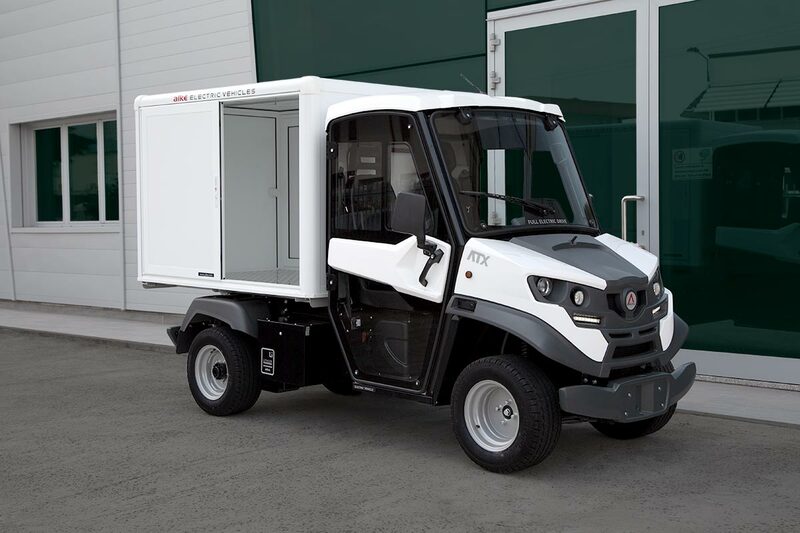 ATX230E electric off-road vehicles Zero-emission vehicle also suitable for off-road driving. Chassis capacity: 1.575 kg. Negotiable slope: 35%. 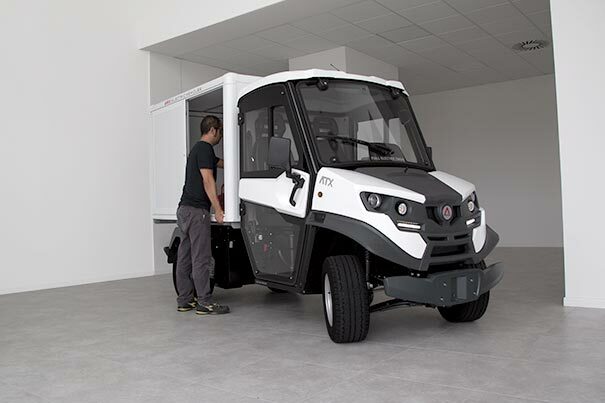 ATX210E electric vehicles The most widely sold professional electric vehicle. Chassis capacity: 610 kg. Towing capacity of 4.500 kg in private areas. 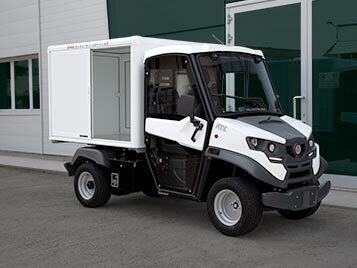 ATX240E electric vehicles Zero-emission professional vehicle for intensive use in industrial areas. Chassis capacity: 1.630 kg. Towing: 4.500 kg in private area. Request the prices of Alke' Cargo Box Electric Vans.